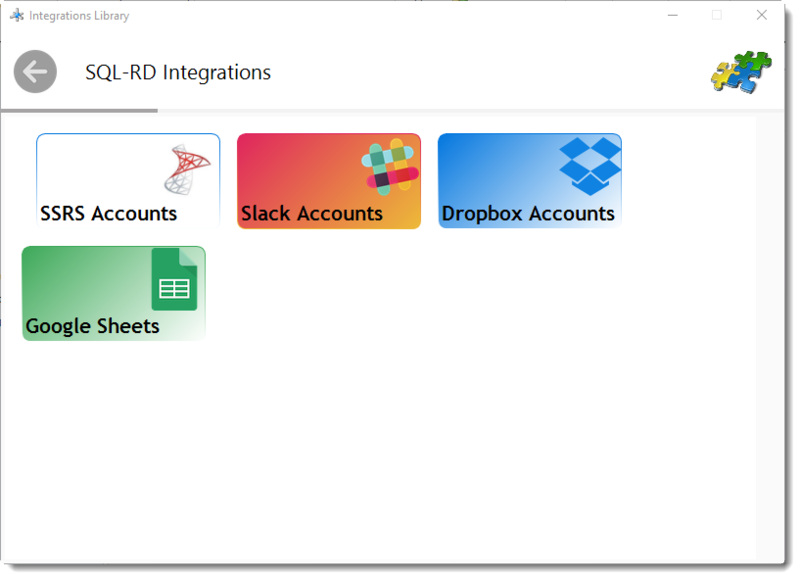 How do I add Slack accounts to SQL-RD? 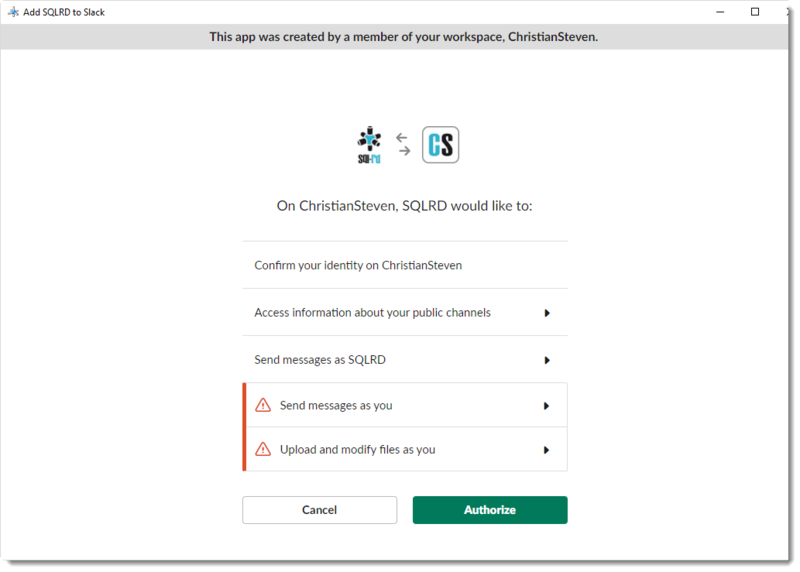 This is how you would associate your Slack account(s) with SQL-RD. 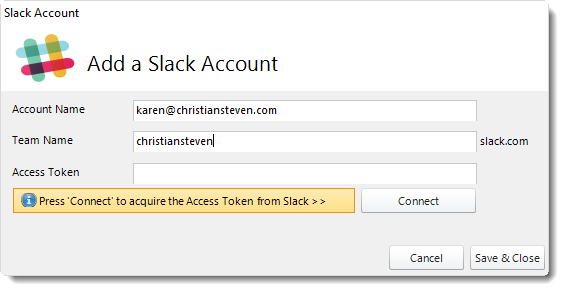 Associating your Slack account gives SQL-RD access to reports you wish to schedule. SQL-RD will use stored credentials to access and export reports. Click Add to add an account. Account Name: Enter the account credentials. 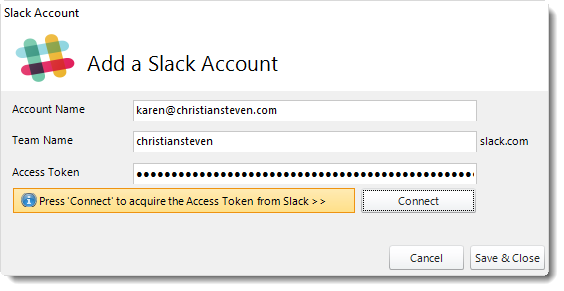 Access Token: After adding slack account credentials, click Connect to acquire the Access Token from Slack. 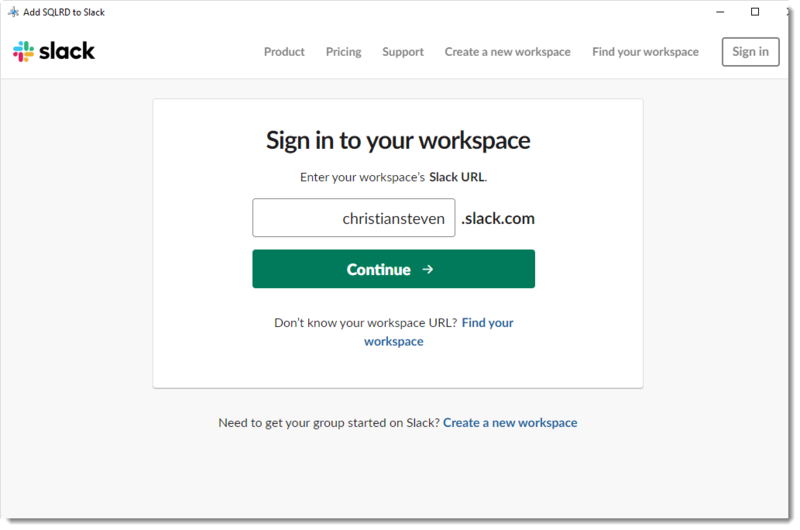 Sign in to your workspace: Enter your workspace's Slack URL. 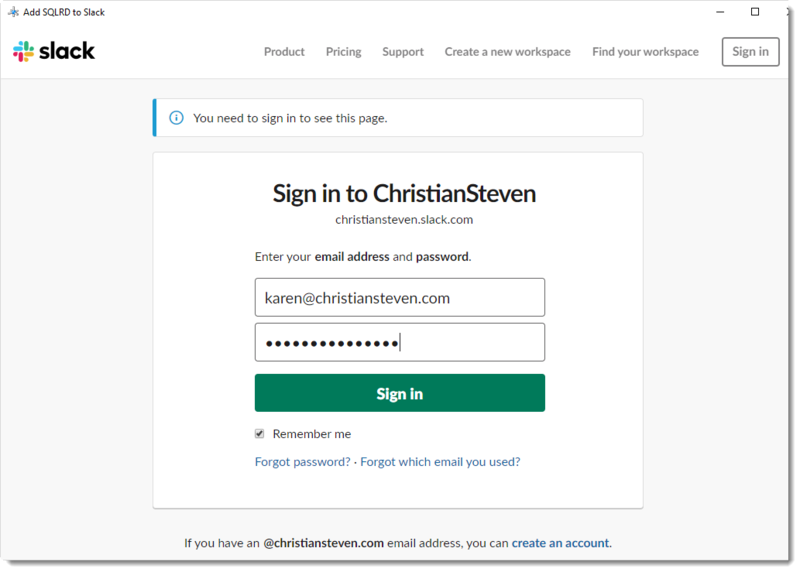 Enter your email address and password from Slack. You will return to SQL-RD with the access token credentials. 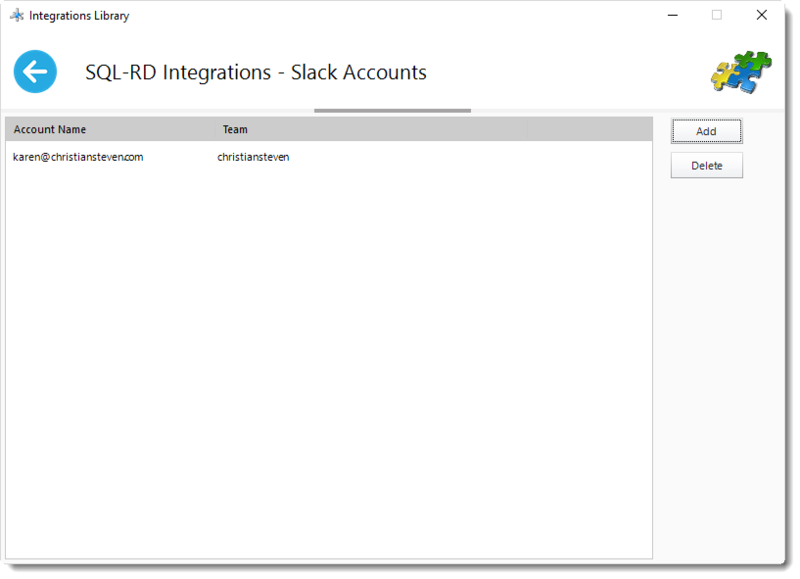 The Slack account is now added to SQL-RD.